MANILA- Human rights group Amnesty International has condemned the looming arrest of Senator Leila de Lima, saying the charges against her are "politically motivated." In a statement Thursday, AI said the arrest of De Lima "is a blatant attempt by the Philippine government to silence criticism of President Duterte" and divert attention away from alleged human rights violations in the government's campaign against illegal drugs. 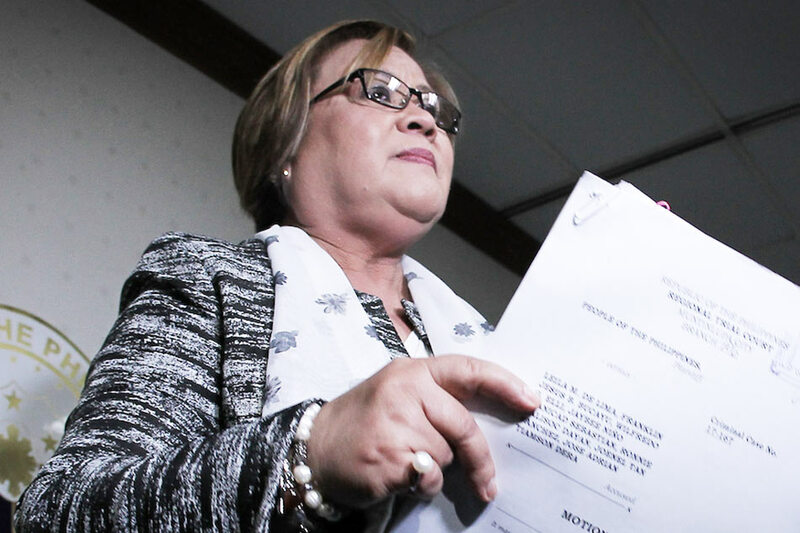 A Regional Trial Court (RTC) has ordered the arrest of Senator Leila de Lima for her alleged involvement in the New Bilibid Prison (NBP) illegal drug trade. Presiding Judge Juanita Guerrero of Muntinlupa Regional Trial Court (RTC) Branch 204 issued the arrest warrant. AI noted that De Lima has faced "intensified" attacks from President Rodrigo Duterte and his allies since the former justice chief is a vocal critic of the current administration. "As a result of her advocacy, De Lima has faced intimidation, ridicule and threats from the President and pro-Duterte officials in the Philippines, often on a daily or weekly basis," the group said. "The consistent harassment of Senator de Lima by the authorities is a blatant attempt to silence one of most important critics of the violent 'war on drugs' and bar her from participating in public life," the group added. AI also called for the charges against De Lima to be dropped and for special protection for the senator once arrested. "The organization also calls for special protection for the senator once in detention, who, given recent high profile killings in police custody, Amnesty International believes is at risk of physical harm.